The smart home market is on a significant upward trend – and by significant, I mean it’s getting huge. Revenue in the “Home Automation” segment is expected to amount to 3.6 million USD in 2016 alone, nearly 50% growth over 2015. What was once “cool” or “wow-worthy” additions to your home are now becoming near essentials. Especially when it comes to devices like smart wifi light switches and plugs, which I love, you’ll be wondering what you ever did without them once they’ve been installed. I recently installed a smart light switch and plug in my home and – let me tell you – it’s now become a necessity in any room or home that’s in my future. What is a smart light switch or smart plug? 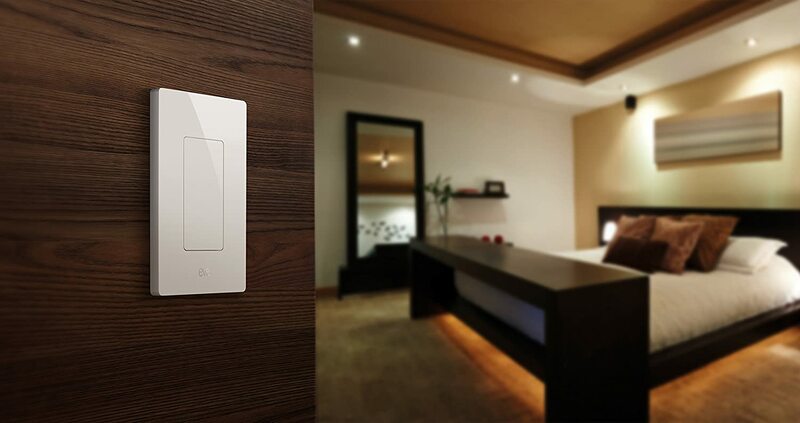 A smart switch is like a normal switch that goes on your wall to control lighting, a fan, or a socket. However, you also get the ability to control the switch with your smartphone through an app. Smart plugs has similar functionality. This allows you to turn on the power from your phone, set schedules, and tie the lights together with other smart devices in your home. 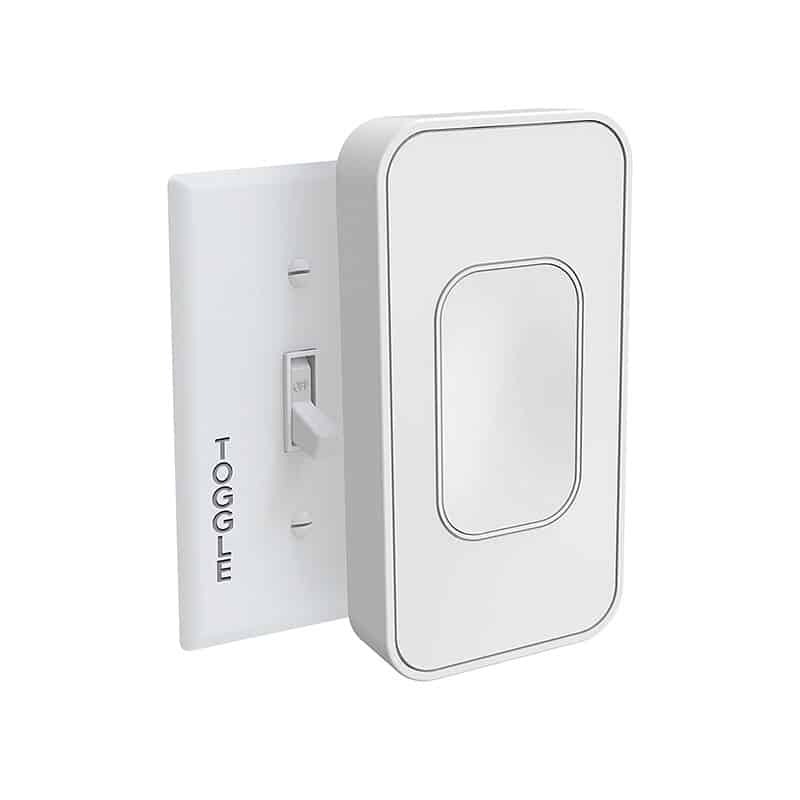 This can be useful if you connect a smart doorbell with a switch or plug through IFTTT so that when someone rings your doorbell it turns on the lights automatically. Why do I need a smart light switch or plug? These devices not only provide safety and security while you’re away, they can help you monitor energy usage and help cut costs on your lighting bills. By connecting the products with your mobile app, you can control your lighting (or plugged-in devices) from your mobile device with a few simple taps. It truly provides peace of mind, while protecting your home at the same time. You can see our ideas on using a smart outlet here. Based on our research, here are the best wifi smart light switches and plugs on the market now. 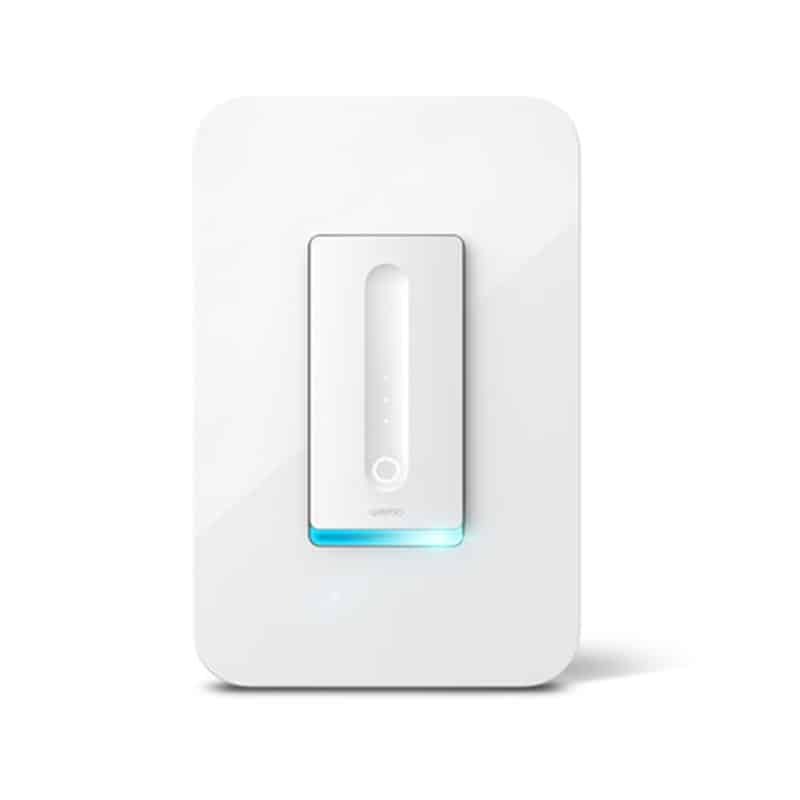 Wemo Light Switch, works with Alexa and Google Assistant. Have you ever arrived home from work, only to find that your house is practically a hot box of heat? You saved energy (and money) throughout the day because you turned your fan off prior to leaving home, but now you’re stuck with waiting 30, perhaps 60 minutes until your home can cool down. That’s where the WeMo Wi-Fi Light Switch comes in. This device can be programmed to turn your fan on for you just before you get home so you arrive to fresh, circulated air, without the headache of the hot box of heat. We love the IFTTT Weather Recipe that this device can create. Essentially, you can program the device to know that if it rains, do X, or if it reached a certain temperature, do Y. It’s truly smart, connected functionality. Although there are tweaks to be made to the app, the WeMo is our pick for the top spot because it seems to offer so much more than other devices on the market, like IFTTT and advanced scheduling features. Program dependent on factors like weather, etc. 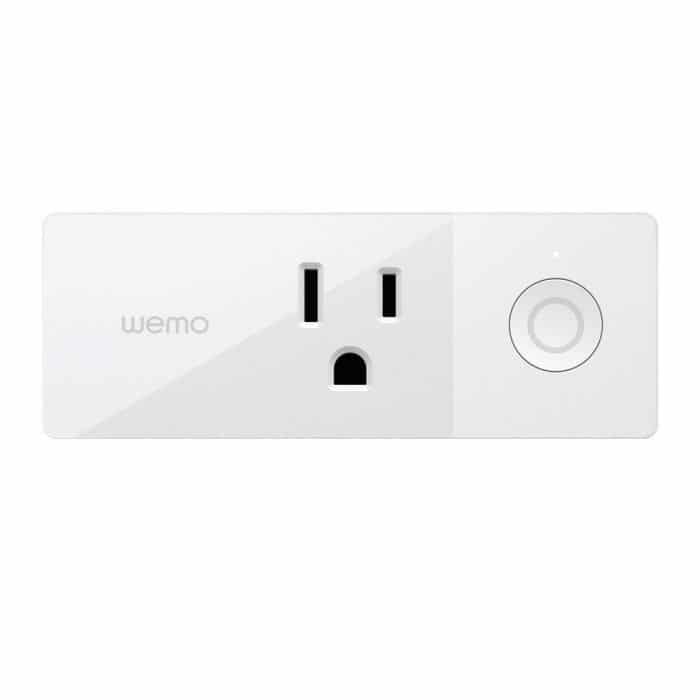 The second Wemo on the list comes second on the list, which clearly earmarks this brand as one of the best in the industry. The Wemo Dimmer Light Switch is a great, easily accessible product that lets you control your plugged-in devices from anywhere – literally. Control it from the wall the old-school way, the Wemo app, and even your voice through Alexa. 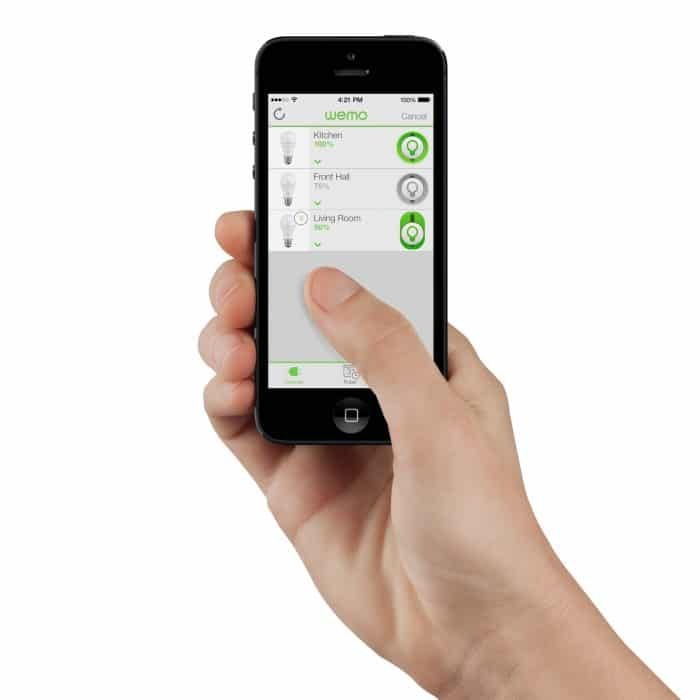 The Wemo is great in that it can sync with your schedule or you can manage devices and optimize on-the-fly. 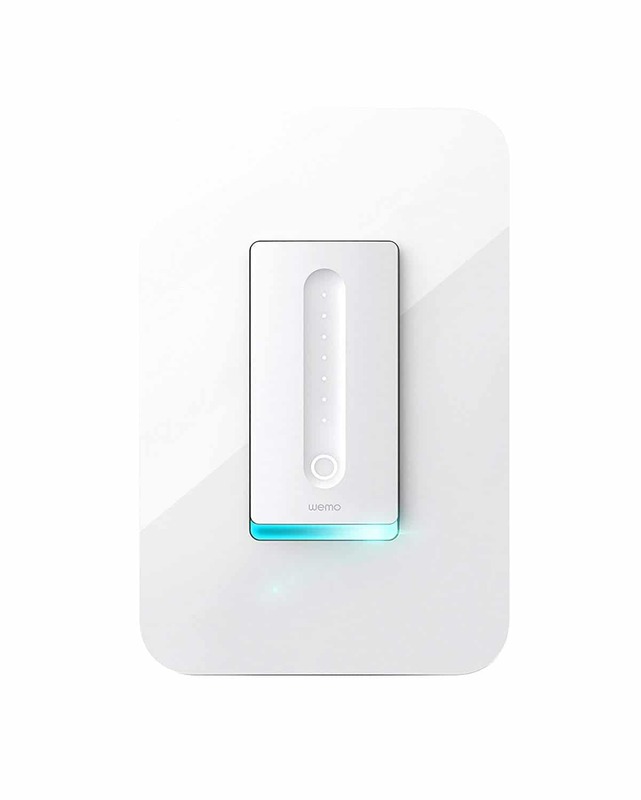 There are two major differences between this dimmable switch and the aforementioned Wemo switch as part of the smart wifi light switches and plugs; first, this switch offers a night mode, which is ideal for those with kids or older family members in the home. Second is – you guessed it – this device is dimmable! Control your existing light bulbs with Alexa, Google, etc. Too dependent on Alexa these days? Well, you can now ask her to switch your lights on and off–even if your light bulbs aren’t smart. Yep, even if it’s ordinary incandescent, dimmable LEDs or halogen bulbs. 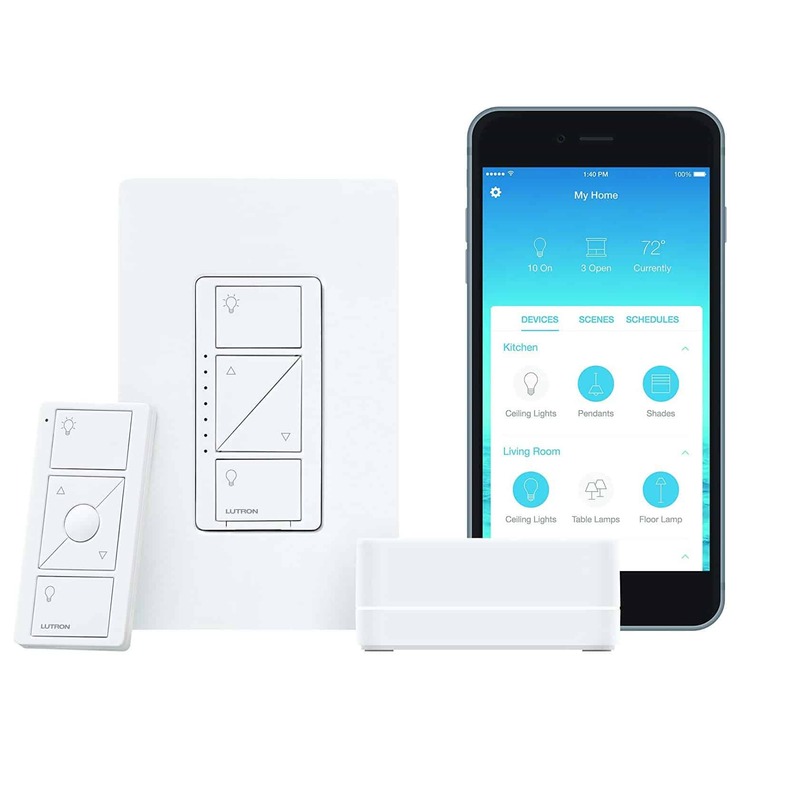 Just use the Lutron Caseta Smart Switch to control them and connect to Alexa. You can also control the brightness of the bulb. Create a scene cozy enough for a movie night and bright enough for serious work. You can even add a sunrise/sunset schedule to make your lights automated. You should get this device if you want to keep your old, non-smart lights, and you want to automate them. You don’t need a smart bulb to have workable lighting automation. This smart switch will let you control your lights via Alexa, Google, Nest, and many other smart devices. 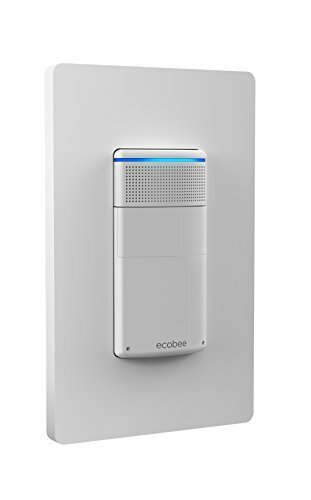 ecobee Switch+ smart light switch, Amazon Alexa with built-in. There are so many things I love about this light switch, and it’s not even about turning on the lights! 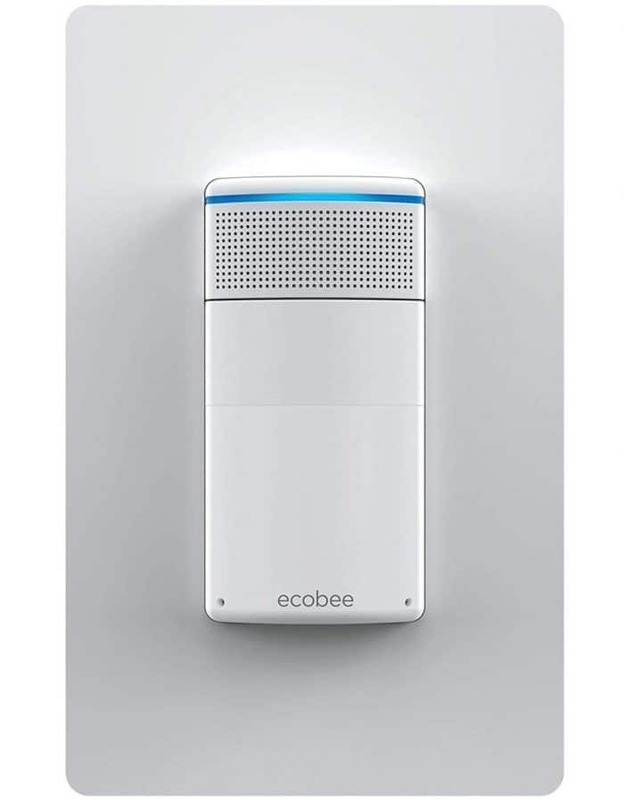 The ecobee has plenty of hands-free solutions, including the ability to ask Alexa for things like the lights, news, music and more. You can have the device turn off the lights when the room is empty, and turn on at sunset and off when you choose. It’s a super smart device that makes your life smarter than ever. You should get this device if you’re like me and have things in your hands at all times, be it my phone, dogs, babies, computers, grocery bags and more. 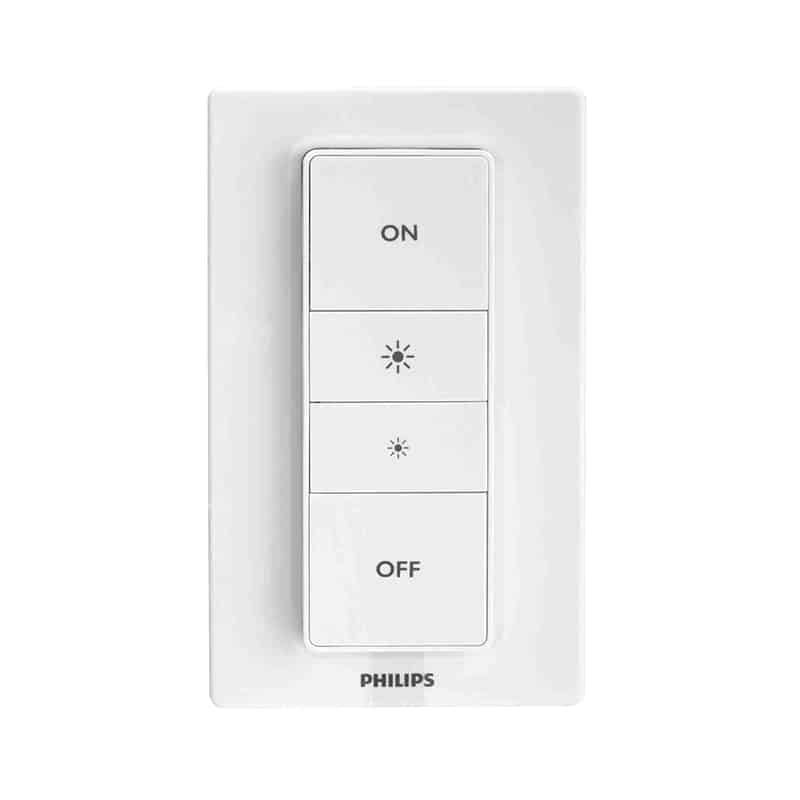 Philips Hue Smart Dimmer Switch with remote. 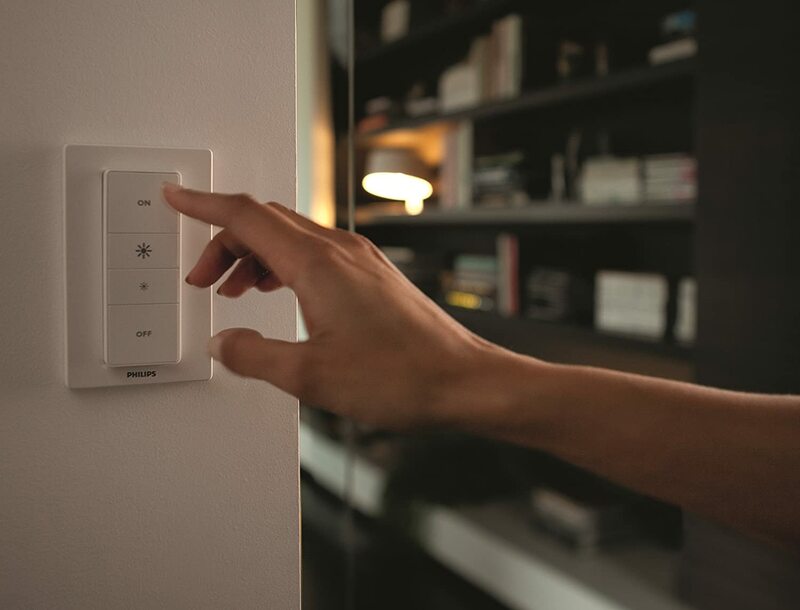 The Philips Hue Dimmer Switch, replaces your current normal light switch and can provide smart functionality to traditionally dumb lights. 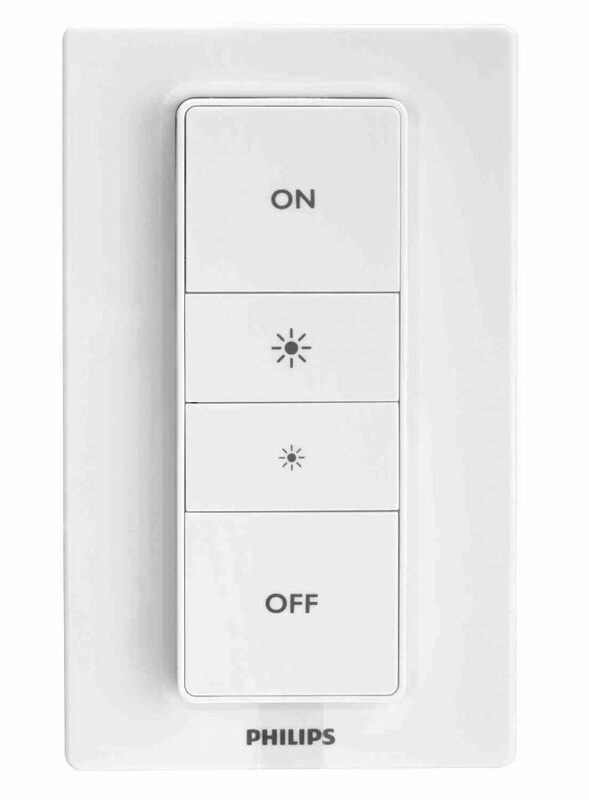 Simply replace your existing switches with this one and you can control your lights via an included remote control. If you also have a Philips Hue Bridge, then you can connect to your switch via Wi-Fi and control your lighting from anywhere in the world. 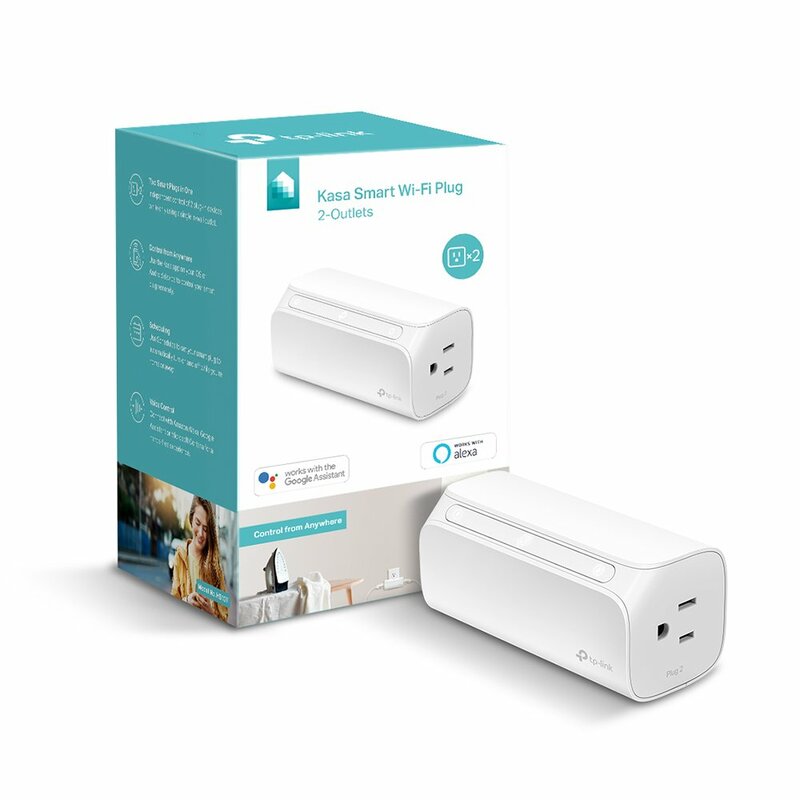 At $24.99 with strong reviews, this switch is perfect for those who are looking to add some simple smart functionality to their home without a lot of fuss and hassle. Plus, once you’ve gotten used to controlling your lights with the included remote and you’re ready for truly smart functionality, you can simply add the Philips Hue Bridge to add global control capabilities. Control lighting from anywhere, no hub required, and works with Alexa and Google Assistant. 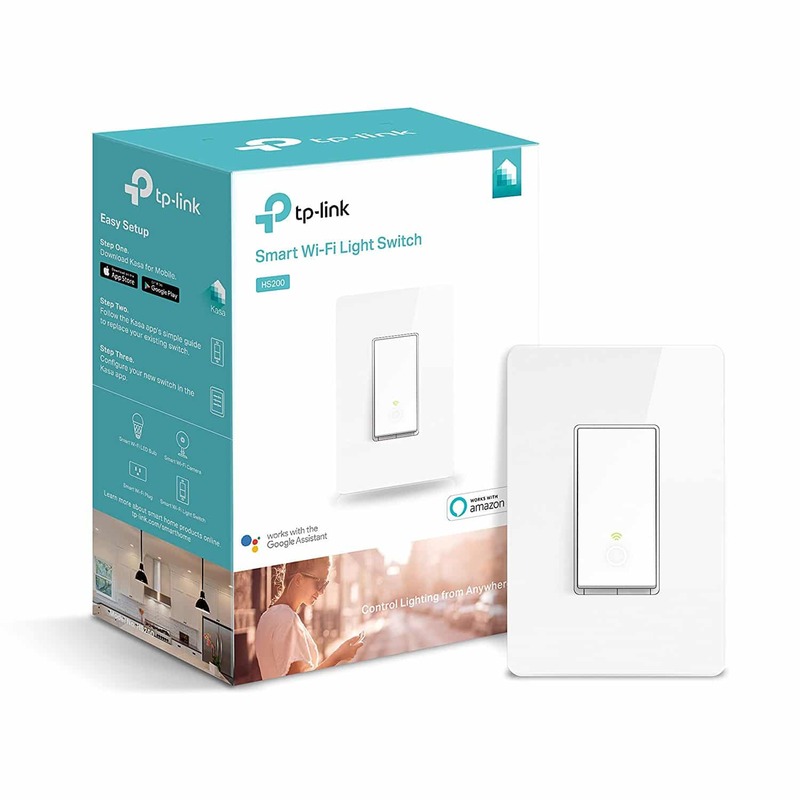 The TP-Link Smart Switch is a great smart product for beginners, which is why we’ve included it on this lit. If you often find yourself forgetting to turn off lights (or wondering if you did, in fact, turn them off), the TP-Link is a handy and reliable solution. With the accompanying Kasa App, you can use this product to control virtually any feature remotely, whether it’s your home lights or ceiling fan. Bonus – it pairs with Amazon Echo, so you can use voice control to manage the switch. Thanks, Alexa! This is a great product for beginners, as it is easy to install and simple to use. 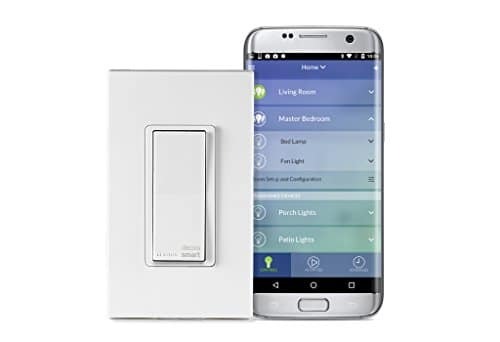 It offers the basic features and functionality that you would expect from a smart light switch and, since it’s priced at a comfortable $39.99, it’s not a significant investment into the smart switch market. 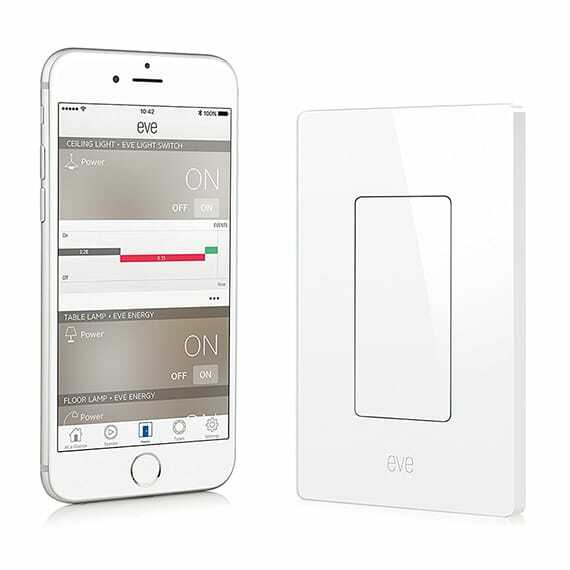 Eve Light Switch, connected wall switch with Apple HomeKit technology. 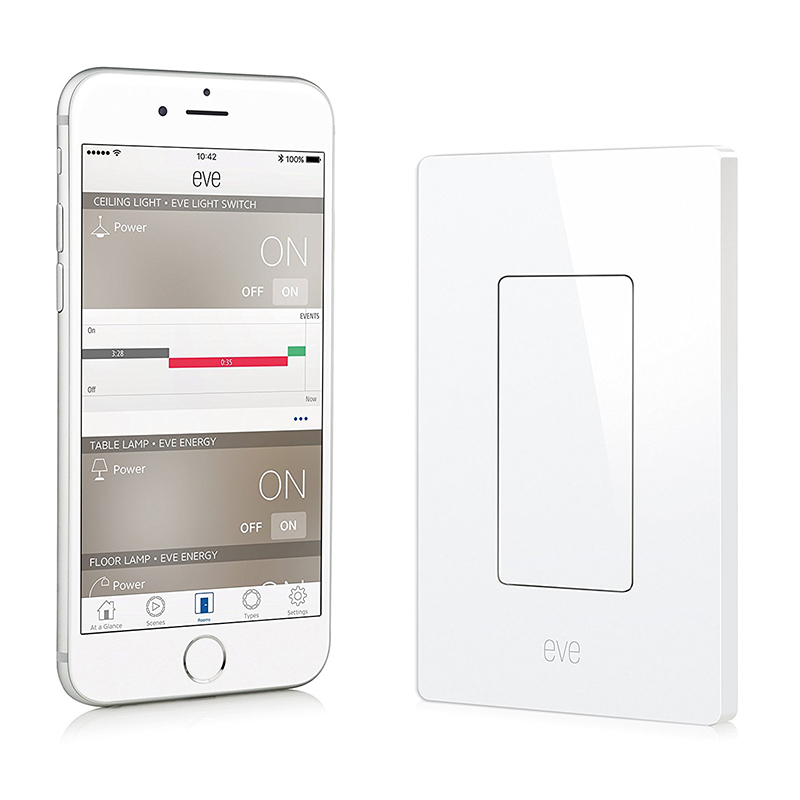 The Elgato Eve HomeKit Light Switch allows you to transform any room in your home with an in-wall switch. It’s a simple addition to your current light switch, as it replaces your current light switch and is compatible with CFL, LED, incandescent, fluorescent, xenon and halogen lighting. Like other smart light switches, this product is easy to install and use with no renovations required. Unlike some other light switches, this one is compatible with Apple HomeKit which makes integration into your iPhone or iPad super easy. Switchmate One-Second Installation Smart Lighting. 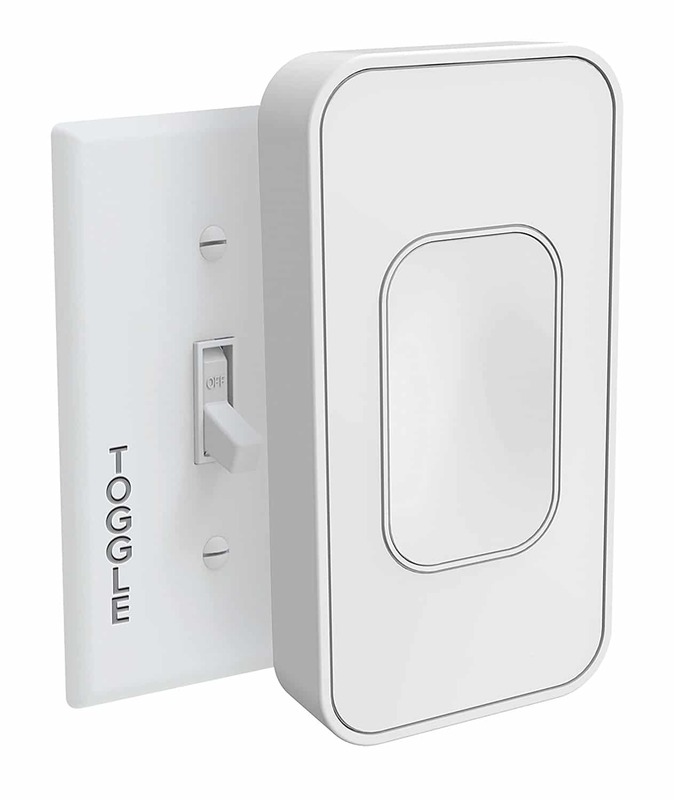 Priced at a comfortable $29.99 at the time of writing, the Switchmate Voice-Activated Smart Lighting Toggle Switch is a simple light switch that attaches to your existing fixture. With a magnetic force as an attachment, you won’t need to use any tools to make the change from a “dumb” outlet to a smart variation. 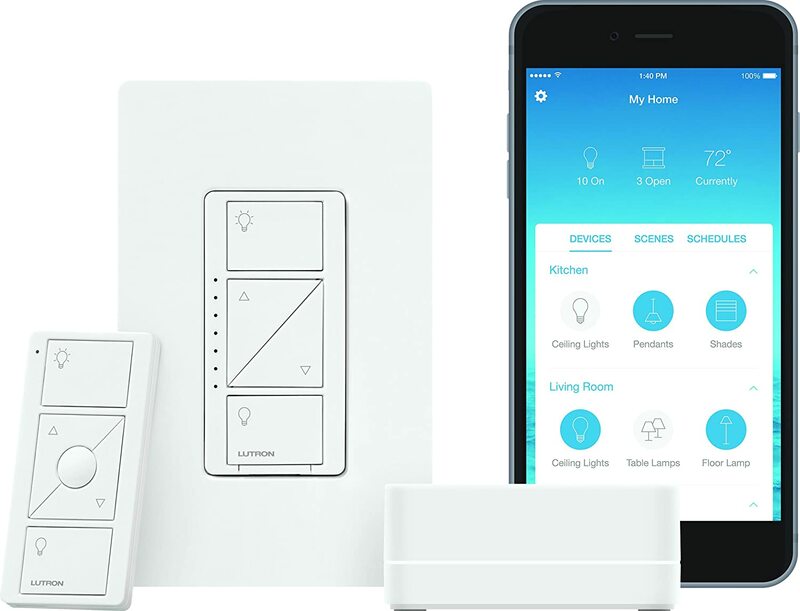 The Switchmate connects via Bluetooth; you can use the associated app to turn on lights and schedule your lighting on the fly. It also can be controlled via your voice. If you have a Goole Assistant or Wink Hub 2, it will work seamlessly for advanced lighting automation. If you’re looking for a simple DIY solution, this is the product for you. With no tools needed to make the switch, this product is easy to install and use. Leviton Smart Wi-Fi Switch, no hub required and works with Alexa, Google Assistant and Nest. Another voice-controlled lighting switch is this Leviton Decora Smart Switch. It works seamlessly with both Amazon Alexa and Google Assistant so you can just say, “Alexa, turn the porch lights on” or “Ok Google, turn everything on” once you arrive at home at night. No need to fumble for your keys in the dark. For a more simplified and easy operation, you can set up switch schedules basing on time or sunset or sunrise times. Create custom lighting scenes for every room and always go home to a relaxing vibe. You can group the devices per room for an even more convenient lifestyle. No need for a hub for this switch to function. 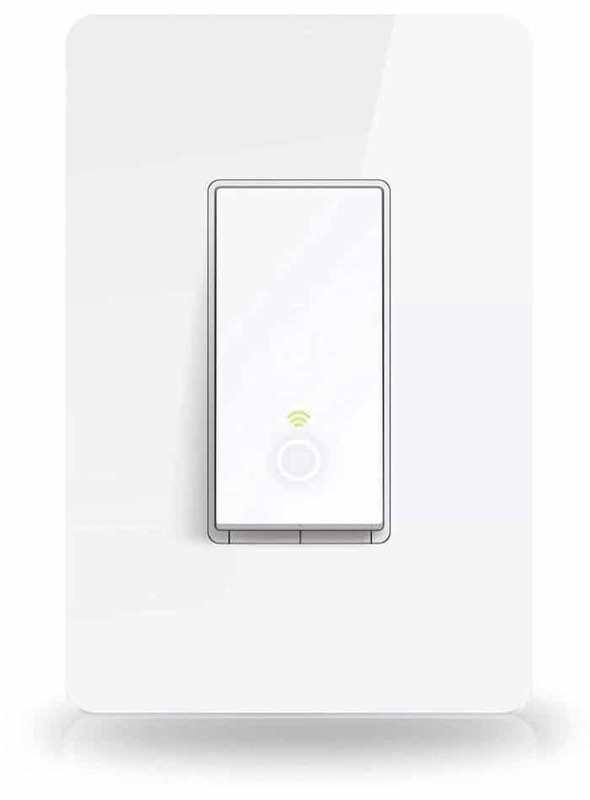 If you’re already an Alexa or Google Assistant advocate, the Leviton Switch makes a great addition to your smart home automation system as one of the smart wifi light switches. The voice control makes everything easier and you don’t need an extra hub to make it work. 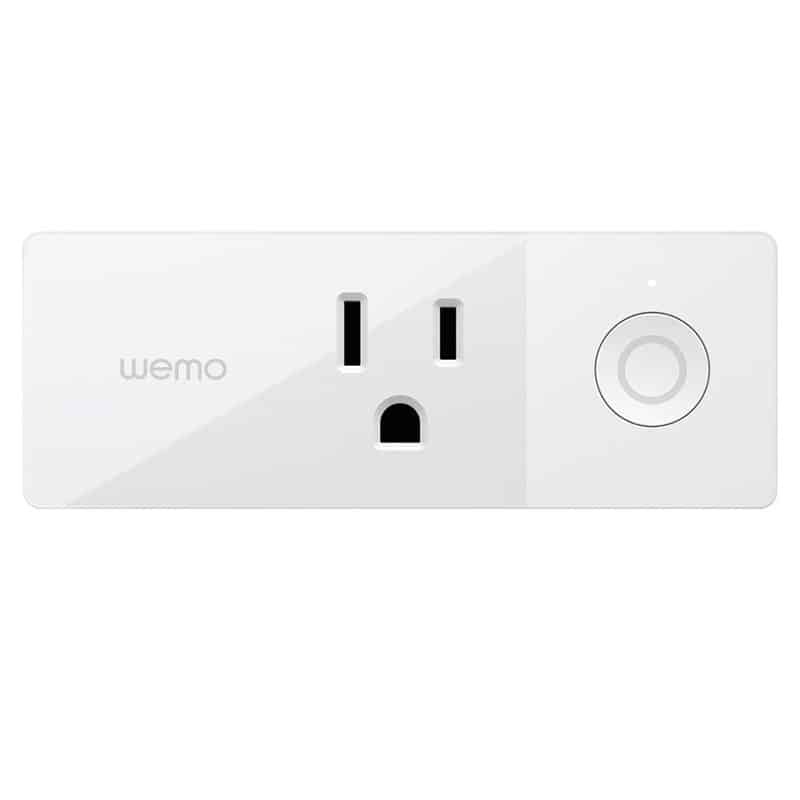 Wemo Mini Smart Plug, WiFi Enabled, and works with Alexa, Google Assistant. With Wemo, you can control your home from anywhere. Whether you’re lying on a beach in Mexico or you’re spending another late night in the office, you can control your light and appliances using the free associated app – all you need is Wi-Fi. There’s no hub or subscription required, which is an added bonus. Plus, you can schedule your plugged-in devices automatically, so if you know you’ll be away from home, you can still take advantage of this added security features. This is a must-have device for those who have home automation and AI products, like the Alexa and Nest. Paired with these devices, you can control your lights, temperature, and appliances with your home automation system. So good. Some users report connection issues. How about having a good thing twice? That’s what the the Kasa Smart Plug has in store for you. It lets you control 2 devices from anywhere all together or individually. Think about controlling lamps in your bedroom… or your hair iron and electric toothbrush in the bath. There’s a plug at either end of this. Another plus for this plug is that you can use your voice to control them. It works with Alexa, Google Assistant, and Microsoft Cortana. This is a must-have for people who want practicality and who have outlet constraints. 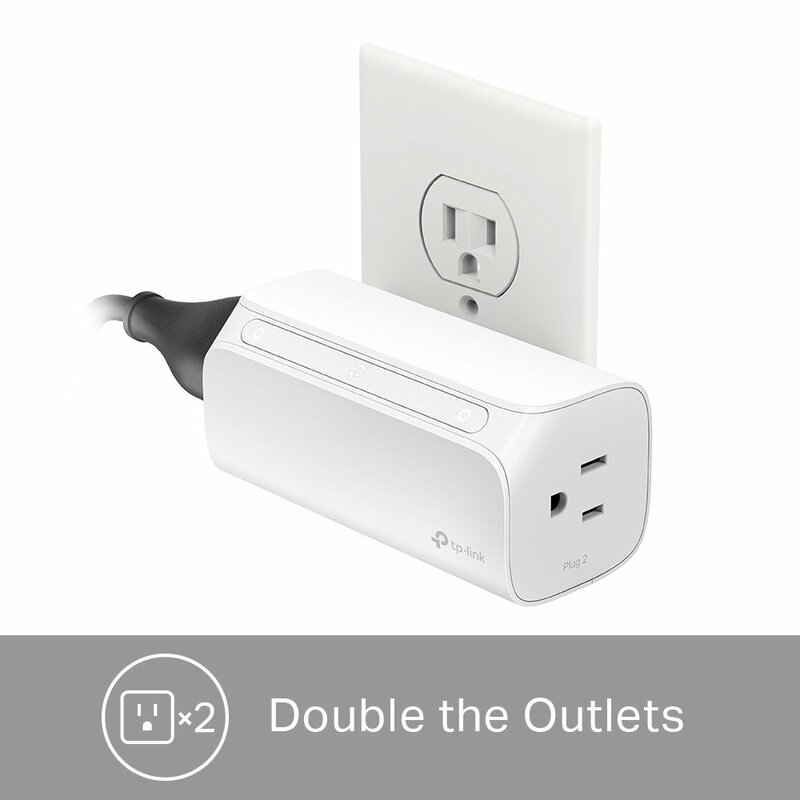 It turns one outlet into two, and not just two outlets, but 2 smart ones. Here are the best smart wifi light switches and plugs comparison. Be sure to find one that can efficiently work for you. Some may have bulky features that prevent you from using it freely. You may end up moving a piece of furniture or knock it down every now and then. Some brands have outlets and switches on the sides. For connectivity, some work with Wi-Fi, while others just work by connecting via Bluetooth. There are also some that work with both. Those with Wi-Fi provide high-speed access to the internet. You can use it even without staying close to the other device. For those with Bluetooth connectivity, they are primarily used to connect devices without using cables and with short distances. So if you’re just near your device, you can opt to use your Bluetooth connection and Wi-Fi when away. Smart switches and plugs come in different shapes and sizes. Most of them on the market are a bit bulky but can hold up to several devices. But if you need a space-saving one, you may want a smaller model to fit your needs. Always check the capacity of your switch or plug. Some would usually have 1 to 2 allowed for connection. But there are some products that allow 4 or more devices to be connected to it. Check before purchasing if your product of choice has additional features. This way, you’re not just going to save money, but you’ll also get to have efficiency at a maximum level. Some products have additional features that include power-monitoring, energy-saving, customizable, voice recognition, and more! Smart plugs are super easy in that you literally just plug them into your existing plugs and set up the app on your phone. Some smart switches can go over existing switches, but most will need to be installed like a normal light switch in your wall. It’s pretty easy, but if you don’t feel comfortable, you may need to call a qualified electrician. How much to smart switches and smart plugs cost? Most switches range from $30-50 dollars while plugs go for a little less. Some can be had for as low as $20 if you buy 2-packs. Q: Can it be used outside? A: Some brands design their products to withstand every weather element. Rain or shine, you’re good to go with your smart device! Q: Can it lower my electricity cost? A: Yes, it can lower your electricity cost. Since your devices are now turned into smart devices, you can control them remotely anytime and anywhere. Q: Are these safe to use? A: Yes, they all have the same safety features as other devices plugged on walls. Just be sure to purchase from a certified supplier! Q: Can I control my devices with several phones? A: Most devices allow controlling devices with the use of several phones and tablets. They just need to connect to an app. Before purchasing, check if it’s compatible or not. But for you to avoid confusion, you may opt to stick with just one. Q: Is it compatible with any phone? A: Read descriptions before buying one as some products work only with Apple and not with Android. To be sure, purchase one that works with both. Q: Can I manually turn off smart devices? A: Yes, you can manually turn off devices connected to your smart switch and plug, since these devices are meant to help you work more efficiently. With smart home devices making their way into US homes quicker than ever (household penetration is expected to hit 18.62% in 2020, up from 5.82% in 2016), smart light switches and plugs are perhaps the easiest to use and install. 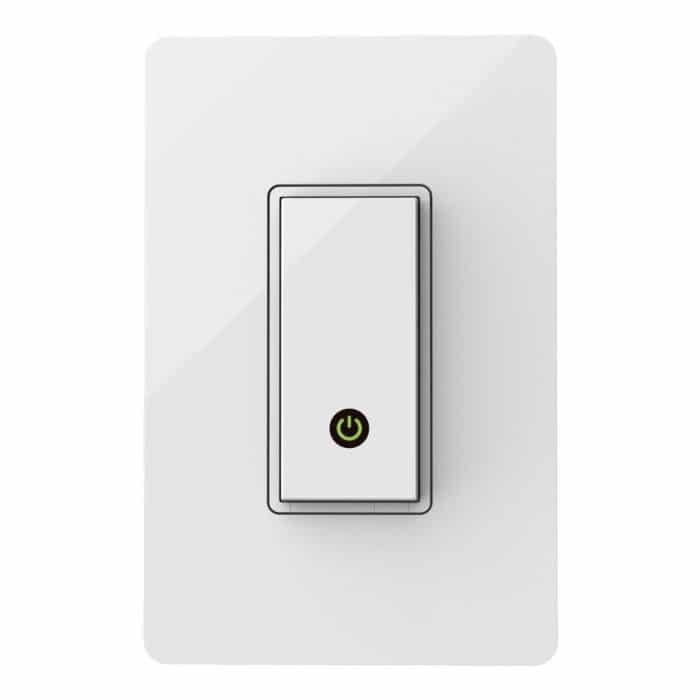 When I was on the search for smart light switches and plugs, there were so many to choose from – so many, in fact, that I needed to put together a list of my top favorites. Need light bulbs? Check our best smart Wi-Fi Light bulbs. Also, I show you how to convert your existing lights and switches into smart solutions. 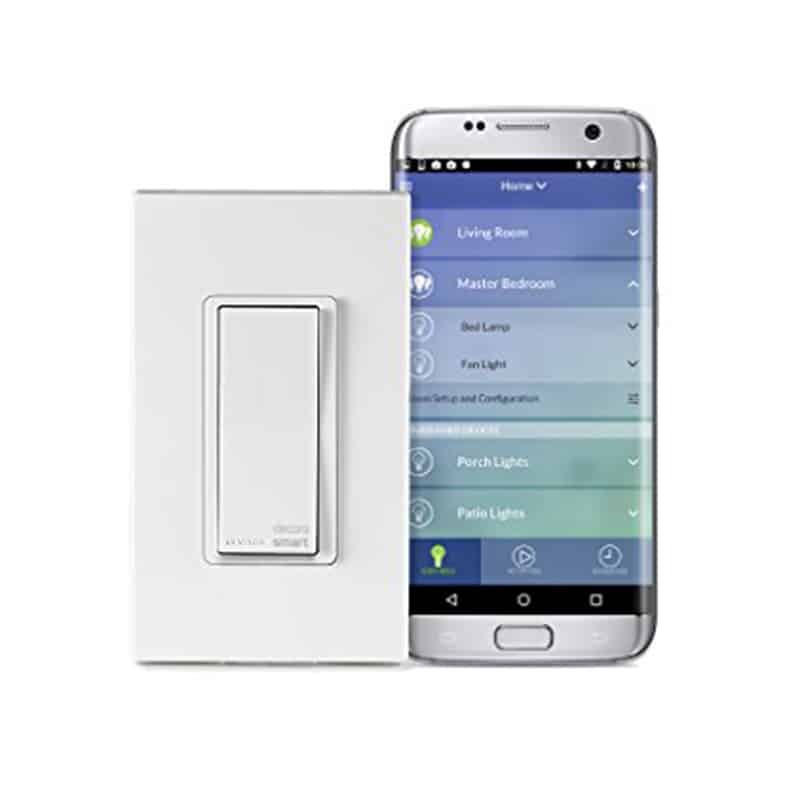 Have you used a smart wifi light switch or plug? Share your feedback with us on Twitter.